Welcome to spring everybody! I know that God’s spring started about a month ago, but for me spring doesn’t officially start until Earth Day because God lives in outer space where it gets warm earlier, but in Iowa sometimes it still snows in April. And one time Barack Obama came to Iowa City on Earth Day and it was really nice out and the girls were nicer to me that day so that’s when I decided to start celebrating spring on Earth Day. Throwing trash in the trash can – Today you’ve gotta throw all of your garbage in the trash can, even cigarette butts and freezie pop wrappers. I know you normally like to stick um in your bottom drawer because you like the smell they make together after the drawer is full, but today you’ve gotta put the Earth first. Just throw um away, sucker. Not taking a shower – In the world there is only seven oceans' worth of water. I have read that within the next 12 weeks we may get down to three, and two of them will be Russian. We can’t let that happen so don’t take a shower today. We all know that when you take a shower the water mixes with your sweat to make oil. This oil turns into gasoline after it mixes with dinosaur bones, never to become water again. So this way you will be saving the Earth’s water and keeping America energy independent by stopping some Middle East guy’s gasoline for the day. Playing Frisbee Golf – The Earth likes it when you’re active and respectful of life. The easiest way to be active is to play Frisbee golf, because you don’t have to move that much. It’s like taking a walk but stopping every few blocks to smoke marijuana. My mom smoked all my marijuana and sold by Frisbee golf discs to the sports resale shop, so I’ll just sit on a bench smoking cigarettes and watch you play. Listening to hippie music – I know it is gonna be hard to resist your urge to rock, but dude you gotta do it. It’s just one day a year and it saves the Earth like a dozen goats that would otherwise be sacrificed during the song 'South of Heaven' by Slayer. Not all hippie music has to be from the Lion King, in fact a plurality of it is not. I heard the word plurality at the doctor’s office, but the doctor explained what it meant and that he actually said I had pleurisy. Some hippie bands that are good include the Grateful Dead, Bob Marley, and Candlebox. One fun fact that you might not know – George Washington our founding father himself was a hippie. He used to smoke pot with his slaves because they were cool and taller than him. After they smoked he would free-style rap with them and let them take a half hour break before he remembered to send them back to the fields. Eating candy – People all over the world don’t have enough to eat. If we take just one day a year and eat nothing but candy, we could feed all of Russia with the real food that we save. Plus real food comes from the Earth so when we eat it we are depleting our natural resources. Candy generally comes from the Easter Bunny and you’ve still probably got some left in your basket. Come on folks! Eat that stale chocolate egg and do your part for human-and-Earth-kind. So there you have it, celebrate Earth Day in style with five easy steps. It may not stop global warming, or it may help it, I don’t remember if it’s bad or good. Whichever thing it is, Earth Day will help that thing be more the way it should be. George Bush used to say, ‘Either you celebrate Earth Day, or you’re a terrorist.’ I like to blow stuff up but I’m scared of caves. Plus any holiday is good excuse to chase stray cats over by the railyard. Watch out kitties, it’s Earth Day!! 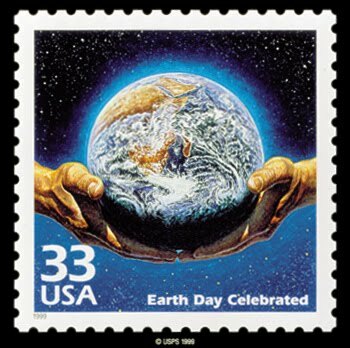 Happy Earth Day to all and to all a good night. This was great Hot Rod. Your guides are better than the ones I used to buy to beat hard Nintendo games like Contra. Thanks Jake! I have a tattoo that says up up down down left right left right B A start, but it has arrows instead of letters but I don't know how to make arrows on a computer. I don't know what the tattoo means, but the guy that payed me $50 to get it loved to play Contra. It’s like taking a walk but stopping every few blocks to smoke marijuana. I wish someone would have explained that to me years ago. I probably love Frisbee golf and never knew it. Kinda like curling! I am trying to eat healthier so I will abstain from Hot Rod's suggestion to "eat candy" but I will do the rest. i will absolutely NOT listen to hippie music! !